Hot Dip Galvanizing is a factory controlled metallurgical combination of zinc and steel that provides corrosion resistance in a wide variety of environments. Hot Dip Galvanizing protects steel from corrosion in two ways. 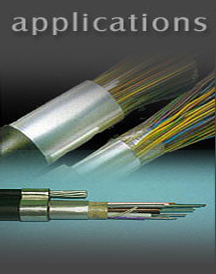 It provides cathodic protection and barrier protection. For over 150 years Hot Dip Galvanizing has had a proven track record of protection in a myriad of applications. The hot dip galvanized is manufactured using cold rolled steel strips / coils which is coated with a thin layer of high grade zinc on both sides by hot dip zinc. coating process. We export hot dip galvanized Steel Strip, Galvanized Steel Tape and Galvanized Steel Wire manufactured using a continuous process line which ensures high adherence and homogeneous coating thickness. The final product combines steel resistance and zinc durability, making it fit for roll-forming and highly resistant to environmental rusting. 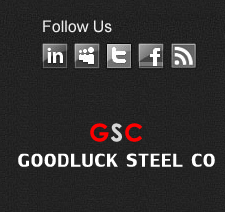 galvanized steel is delivered in strips, coils, tapes and wires . The hot dip galvanized Steel Strip, Galvanized Steel Tape, Galvanized Steel Wire is used for armouring of Telephone Cables, High Voltage Power Cables, and Telecommunication Cables and for other general applications. The caustic tank contains heated water with caustic soda and detergent additives. Oils, soil and soluble paint markings are removed from products during immersion here. Another tank containing plain water is used to remove residues of the caustic dip. A bath of heated dilute sulphuric acid solution removes rust and mill scale from the products.Another tank containing plain water is used to remove residues from pickling. Zinc ammonium chloride in solution, provides additional cleaning of the products being dipped. During galvanizing, the film of flux on the products improves wetting between the steel and the molten zinc.